I have several DEM rasters in different projections and at different resolutions. The rasters are not rectangular, but they have appropriate NoData values. They overlap enough that I should be able to make a seamless dataset across the entire area, but is there a way I can use the GDAL tools to warp/mosaic them to get that seamless dataset? 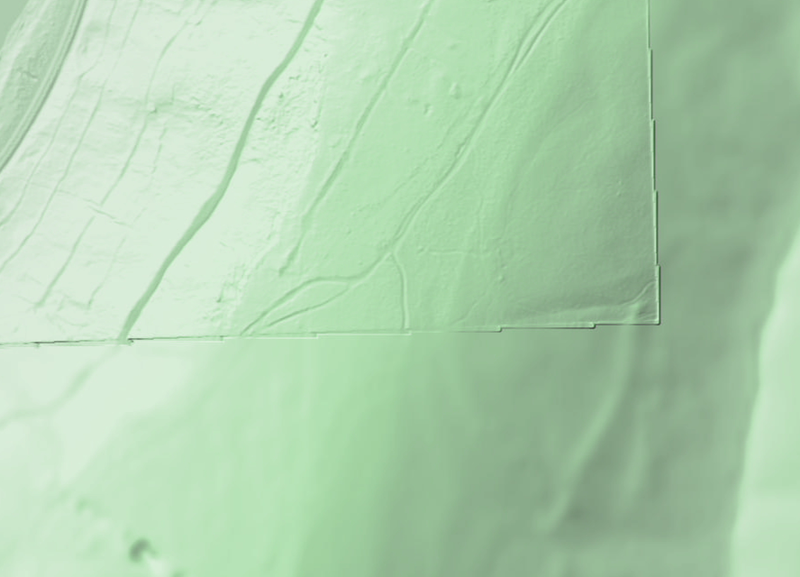 The problem is that the edges of the raster datasets don't always match each other, so I get effective cliffs at the edges. Is there a way to average them together for a few pixels near the edges of data for the dataset on top? I'd really prefer to be able to do this in batch via command line or Python bindings. I'm not hugely fond of the ridges at the edge there. I'm using the USGS NED 1/3 data as a seamless starting point, so I'm guaranteed to have something at every pixel (and the higher-resolution datasets that don't cover the entire area will always have something to be blended with). Fill raster regions by interpolation from edges. It's likely, as mentioned by @RobSkelly, that the DEMs you are using have different elevation values where they overlap. If you merge an NED dataset with SRTM for example, the values can differ just based on the manner in which they were acquired, never mind which datum they use etc. This 'bias' should be corrected for prior to merging at the overlap region. Take the NED as the 'baseline' and adjust the other DEMs to have the same value as this for a given point (or same average over the dataset). This will reduce this effect although the problem will persist to some degree. To eliminate completely would require that the data are merged using a relationship between the two (e.g., a spline) but it's best to start by eliminating the easier options such as correcting for bias. I understand that higher resolution data is preferable but resampling to the lowest resolution dataset will also alleviate this artifact. Not the answer you're looking for? Browse other questions tagged raster gdal dem or ask your own question.